Psychology is essentially the scientific study of mind and behaviour : how we think, feel, act and interact individually and in groups. At LITE Regals' award winning psychology course, students will be offered an insight and introduction to the topics of psychology offered at Cambridge University. Aimed primarily to all students interested in the field of psychology or who would like to study this subject further at a top university, the course is run through exciting hands-on workshops with mind blowing psychology experiments to help students gain an insight and knowledge into human thoughts and associated behaviour. These workshops coupled with top academic tutors and with like-minded students make this an exciting and rewarding course. Psychology – ‘The science of behaviour and mental processes’. What enables two people to get on with one another? Do we have free will or are we driven by our environment, biology or non-conscious influences? Why do humans hurt other humans? The course is workshop and tutorial driven, which provides students with an important opportunity for the learning and discussion of the course. Students will be asked to do individual research in their chosen field of psychology and learn to interprete data and to make a presentation in front of fellow students and tutor. Students will get the chance to discuss, study and debate questions of the mind in lively, open, tutor-led sessions. Tutors will provide a grounding in the main schools of thought and notable contributors in the development of psychology; Freud and psychoanalysis the study of the unconscious mind in relation to childhood experiences, personality and sexuality; Wilhelm Wundt and structuralism the practice of interviewing and recording thought and behaviour; William James and functionalism questioning why we think, feel, act; Pavlov and behaviourism the way we adapt to our environment. This will lead into the introduction of the new modern scientific approach of ‘experimental psychology’. An approach based on the principles of scientific research, experiment, recording quantifiable data for analysis, leading to measurable hypotheses. Through structured teaching, workshops and real experiments students will gain knowledge and hands-on experience of this new approach. Students will be encouraged to construct statements on human behaviour and mental processes that are measurable and testable. They will be guided in the use of scientific techniques using experimental and control groups, understanding the need for randomised samples and ‘placebos’, gain the ability to manipulate variables to isolate effects, and from data analyse their initial hypothesis. Students will present to the group their approach and findings and certification will be assessed on their own psychology experiment. In addition to lectures, students participate in in-class experiments demonstrating key psychological phenomena. Working in teams, and under instructor supervision, students design, run, and present data from an original psychological experiment. The academic and practical approach will be enhanced by visits to the British Psychological Society for presentations on current topics together with visits to the Science Museum and Freud Museum in London. 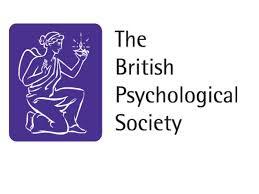 Students who enrol on the Psychology course will be given a Membership as an e-subsciber of the British Psychological Society. Students will attend a cutting edge seminar with a guest in a current field of psychology such as “Forensic Psychology” (Details for 2018 seminar still TBC). E-membership of the Society is included in the course.